When it comes to performance features, the Terex T 780 offers an intuitive design that increases productivity. The four-section boom was designed to be fully synchronized. 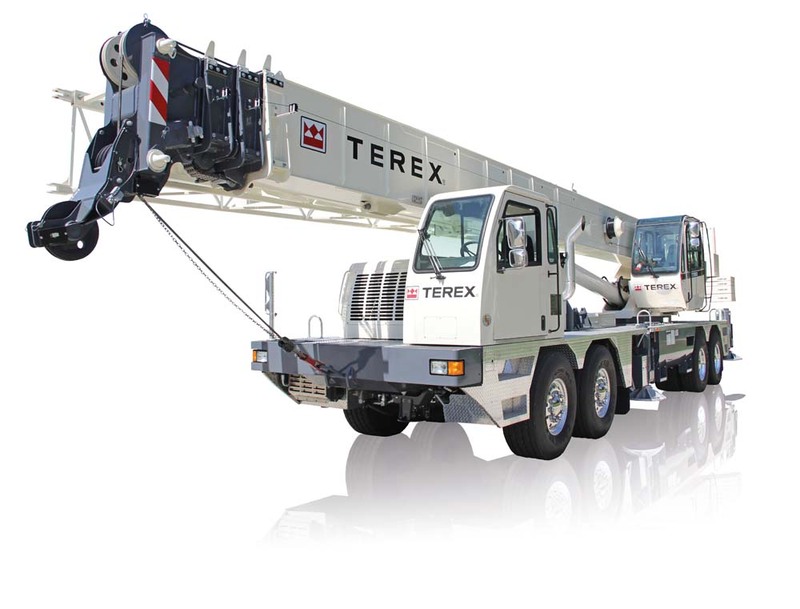 For reliable performance, the Terex T 780 was built with high-performance hydraulics consisting of a three-pump system. This enables the crane to experience a combined flow of 131 gallons per minute for simultaneous, smooth and reliable functioning. The outrigger system not only provides much-needed stability, but it does so using a small footprint. This enables the crane to be used in smaller spaces for increased versatility. The operator of the Terex T 780 can precisely control its movements using the electrohydraulic joysticks that are fully-proportional. The upper cab is climate controlled and can be tailored to fit a range of work environments. Air conditioning and/or heat can be configured to keep the operator comfortable any time of the year. When the counterweights of the Terex T 780 need to be removed, this rough terrain crane's design makes it easy. With the assistance of hydraulics to do so, auxiliary equipment isn't needed. This increases productivity on the job site and reduces downtime. Terex knows that regular maintenance can increase the lifespan of their cranes so they've built features into the design of the T 780 to make it easier. For example, the external slew ring can be easily greased with the grease zerks that are found in the cab. The filters are also easy to access because they are remotely mounted. Standard hydraulic quick disconnects mean that it's easy to install gauges that check the crane's pressure. As an authorized dealer of the Terex T 780, as well as other Terex cranes, Scott-Macon Equipment is the place to buy or rent this highway-safe crane. In addition to our expansive inventory of Terex cranes, Scott-Macon Equipment also provides top-notch customer service that is second to none. Get in touch with us today to learn more about the Terex T 780 or to get a quote.